JRPG fans have been pretty lucky over the last few years to be getting great smartphone games. There was Final Fantasy Record Keeper in 2015, Final Fantasy Brave Exvius and Kingdom Hearts Unchained χ in 2016. With great tactical gameplay reminiscent of the 3DS Fire Emblem games and a wealth of characters and things to keep players busy, Fire Emblem Heroes may be 2017’s killer RPG app. 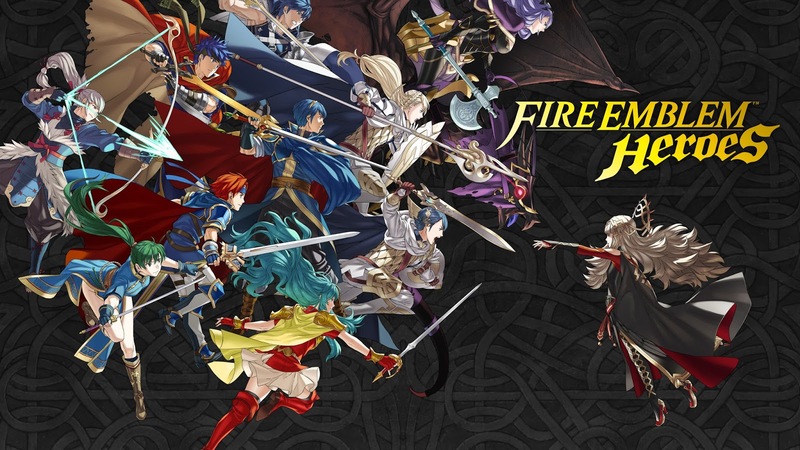 Fire Emblem Heroes begins with the light premise that you have been summoned to help the Order of Heroes restore other hero worlds that are regularly being invaded by dark forces. You can do this thanks to your ability to summon powerful heroes to fight by your side, with these heroes being familiar characters from the Fire Emblem series. As I’ve only played Fire Emblem Awakening outside of Heroes, it wasn’t until the Awakening chapter that I realised each chapter was based around the world and characters of a Fire Emblem game. Particularly in the Awakening chapters, it was cool to be versing teams of characters similar to the ones I would’ve formed in Awakening and the chapters with characters I didn’t know were a nice introduction other Fire Emblem games. The tactical system used in Fire Emblem Heroes will be very familiar to those who have played the series. Battles are done on a grid map and with your team of four, your goal is to wipe out your opposing team, whether your challenge is one of the pre-made teams in Story Mode or player-made teams in the Arena. 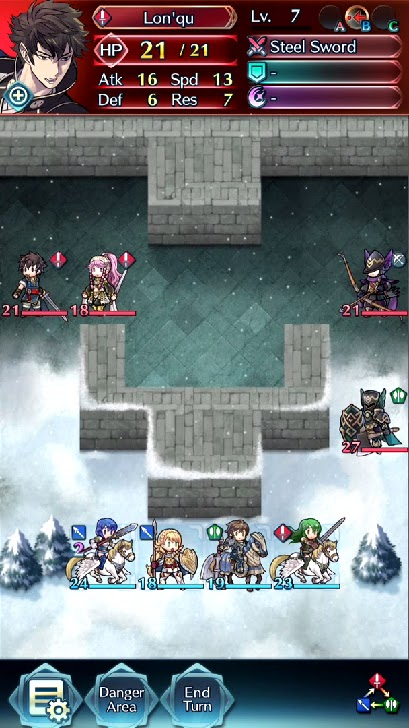 The usual Fire Emblem rock-paper-scissors tactic applies in Heroes in a simplified form and is visible on the bottom corner of the screen, making executing good tactical plays in Heroes very easy to confirm and check. Since Heroes is a smartphone game, the main difference between Heroes and the 3DS Fire Emblems is that everything is easily done through dragging characters to enemies. Battles are pretty short, usually a couple of minutes unless you’re versing a particularly difficult team or you’re under-leveled. The short length of battles may seem like it would counter the tactical nature of Fire Emblem, but I actually enjoyed being able to have a quick battle using simple tactics when I only had a minute or being able to play many rounds if I had more time and stamina. Speaking of Stamina, Fire Emblem Heroes is a free app with in-app purchases, so the usual limitations to free players apply, but I haven’t felt too restricted yet. All players have 50 Stamina points (with no plans as of yet to expand this), which means as your party levels up and you start playing harder levels, your play time slowly decreases. In the normal difficulty mode, story levels start at 2 Stamina, while the Lunatic ones start at 11 and go up to a costly 23. Stamina can be restored with Orbs or Stamina Potions, but these are mostly available in limited quantities. Orbs can be made less limited for those who want to spend real money in Fire Emblem Heroes. I'm the type of smartphone gamer (and person) who avoids spending extra money like the plague and I'm pleased to say I could do almost everything I wanted to in Heroes without spending a cent, especially with the extra orbs and potions given to celebrate the apps launch. I always like smartphone games that make payment an option rather than a must and so far Heroes is definitely one of these. And that's the best part of Fire Emblem Heroes: there's a whole lot to do. There's the story and three difficulty modes, an Arena that can be played three times a day for free, and events with new heroes and orbs, plus a Training Tower where you can train the many collectible heroes. There's the addictive Hero Gacha system which will probably be the main draw to buy orbs, where you select from class colours and see which hero you get, as it's the main way to get heroes. For the casual smartphone player, all this content will probably keep you going until well after there is more released and for the dedicated, there's the promise of new content every couple of weeks. As long as Heroes keeps making events that support those who make purchases and occasionally gives orbs to those who don't, there's a good reason to keep playing and I'm already looking forward to future events. With the already great Fire Emblem battle system, good tactical gameplay and accessibility is balanced well in Fire Emblem Heroes and it's a pocket-sized reminder of how fun Fire Emblem is. The Hero collection aspect is complemented well by the addictive gacha system and with a wealth of content and a nonrestrictive payment model, I'm happy to add it to my group of smartphone games I play on the go. If it keeps getting support like it has with its launch, Fire Emblem Heroes is a fantastic option for the casual tactical JRPG fan or the Fire Emblem fan who left their 3DS at home. Now please excuse me, I need to gacha for my Tharja. You can pick up Fire Emblem Heroes in the App Store or the Google Play Store. Will you play Fire Emblem Heroes? Which characters do you want in your party?